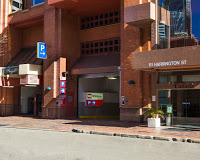 This indoor lot secure parking space is located in The Rocks with 24/7 swipe card access and available to lease on a month to month basis. Longer term rental preferred. CloseDon't miss out...Enter your email below to get notified of exclusive parking offers and discounts in The Rocks.